Moku wants to be next to a kerosene fan heater. almost face to it. not all the dogs don't care the cold. 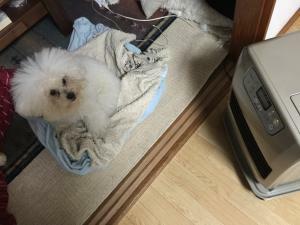 He likes warm place just like mokumum.